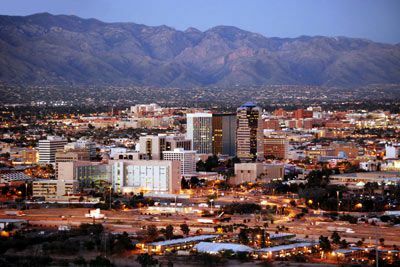 Tucson, nicknamed the Old Pueblo, is Arizona’s oldest city with a unique cultural blend of Indian, Spanish, Mexican, and Anglo heritages. 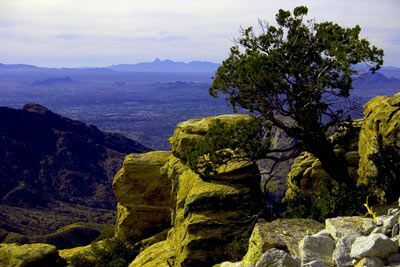 At an elevation of 2,584 feet, Tucson is cradled by the Santa Catalina Mountains rising 9,100 feet to the north, the Rincon Mountains to the east, the Tucson Mountains to the west, and the Santa Rita and Sierrita Mountains to the south. Green trees such as palo verde, mesquite, and cottonwood grow in abundance. Tucson is renowned for its superb weather. Warm and sunny throughout most of the year, the air is remarkably dry with a low relative humidity. The city is surrounded by majestic desert, verdant canyons, and rugged mountains all beneath an endless expanse of some of the bluest sky you’ve ever seen, creating the perfect environment for all kinds of activities. Looking for luxury shopping, fine dining, or fine art? Tucson offers a wide range of contemporary shopping, cuisine, and art with historic influences of centuries-old civilizations. If hiking and biking are more your style, hit up Ventana Canyon Hiking Trail, Rillito River Park, or Finger Rock Trail. Is golf your game? 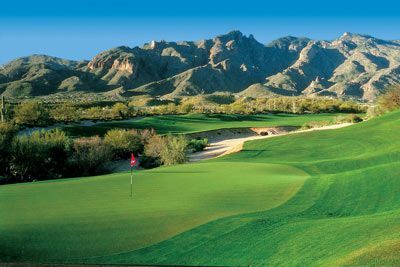 The Tucson National Golf Course was designed by Robert Van Hagge and Bruce Devlin and has been host to over 30 PGA Tour Events. Traditional in design, it provides a fair test to players of all levels. The 419 Bermuda fairways and Pencross bent-grass greens make for a lush, manicured course. Mature trees border the fairways, while eight lakes and 80 strategically placed bunkers add to the enjoyment and challenge of the Tucson National experience. It provides a feeling of honor to play the course that great champions like Johnny Miller, Arnold Palmer, Jack Nicklaus, Lee Trevino, and Miller Barber have walked. Its reputation as one of the finest courses in the Southwest is well deserved. 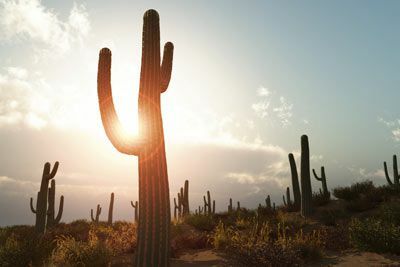 Whatever you love, you’ll love it even more amidst the hospitality and natural beauty of Tucson. 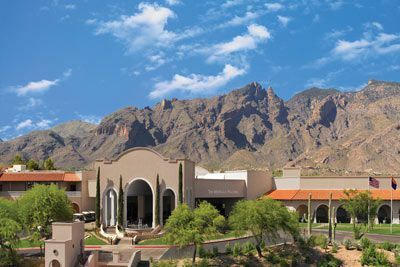 Discover the magical qualities of The Westin La Paloma Resort and Spa, a luxurious property nestled amidst the foothills of the Santa Catalina Mountains. From the Red Door Salon & Spa to our Jack Nicklaus-designed signature golf course, you’ll feel immersed in the endless possibilities. 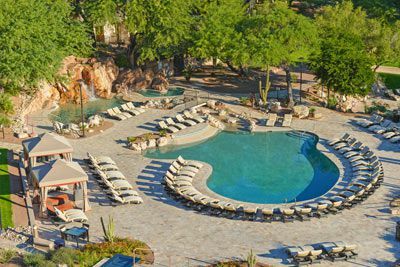 The Westin La Paloma experience includes five year round spectacular pools, and features one of Tucson’s longest resort water slides—the 177 foot long SlideWinder. Our adult pool provides a serene and relaxing experience. Recline on a lounge chair, zip down the water-slide or enjoy a beverage and snack from Sabino’s Swim Up Bar & Grill. The Westin Family Kid’s Club is a destination for exploration created with kids’ well-being in mind. Guests at The Westin La Paloma Resort & Spa can enjoy access to Racquets, the Tennis and Health Center at the adjoining La Paloma Country Club. Try out the ten championship courts, including four superb Georgia clay courts and six hardcourt surface courts. Visit the WestinWORKOUT® Fitness Studio anytime for its full range of cardiovascular machines and strength-training equipment, or sweat it out in a fun class. Inside the health center are excellent indoor racquetball courts as well as a fully stocked pro shop to make sure you’re supplied with all your workout needs. At the end of your workout, you can unwind in the steam rooms and freshen up in the comfortable locker and dressing rooms. The Red Door Spa integrates elements of science and technology with natural ingredients from earth and sea to provide spa therapies from around the world. With over 9,300 square feet of state-of-the-art splendor, this beautiful spa lets you stretch out in world-class therapies designed to nurture your body, mind, and spirit. Ride horseback down mountain trails, or tour the territory by jeep amidst century-old Saguaro cactus and desert wildflowers. When it’s time to eat, your palate is in for a treat with 8 distinctive dining options. Traditional guestrooms feature 1 King or 2 Double Heavenly Beds® (based on hotel availability), Heavenly Bath® with rainforest showerhead and deep soaking tub, Wi-Fi access, private patio or balcony, flat screen TV, refreshment center, safe, iron/board, bathrobes, hairdryer, and more. 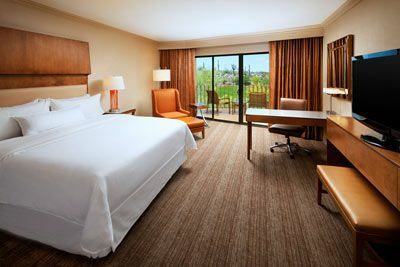 The Westin La Paloma is located approximately 22 miles from the Tucson International Airport (TUS). Certified Registered Nurse Anesthetists: This program has been prior approved by the AANA for 20 Class A CEC; AANA Code #1035399; Expiration date 3/25/18. $100 January 21, 2018 to February 20, 2018. No refund after February 20, 2018; however, 50% of tuition paid may be applied toward tuition for another NWAS program within the next 12 months. Cancellation must be made in writing.